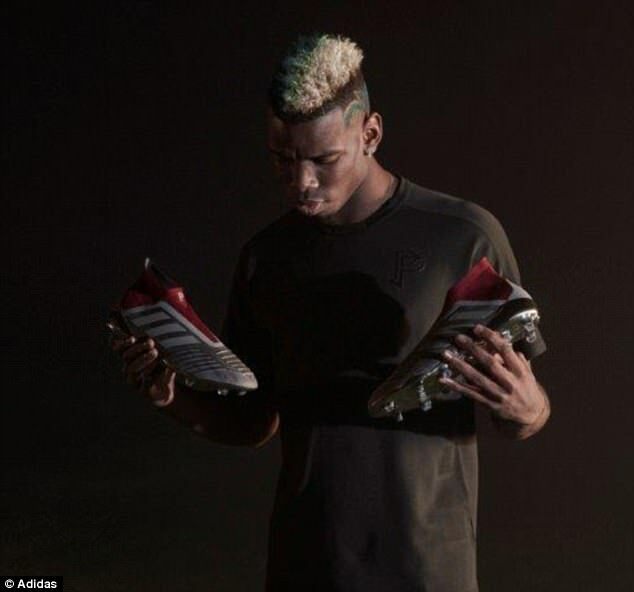 Manchester United star Paul Pogba has teamed up with adidas ahead of their latest release of football boots and sports clothing. The sports brand launched season three of ‘the adidas Football x Pogba Capsule Collection’ on Monday – their third release with the football icon – which will be available in their global stores. Releasing a range of products, the sports brand have looked to reflect the Frenchman’s creative nature both on and off the pitch. Boasting a range of striking burgundy and metallic grey colour palette, the new line consists of jackets, t-shirts, tracksuit bottoms, hoodies and a predator ball all with Pogba’s seal of approval (‘PP’) stamped on them. However, the stand out feature are the PP Predator 18+ Control football boots. 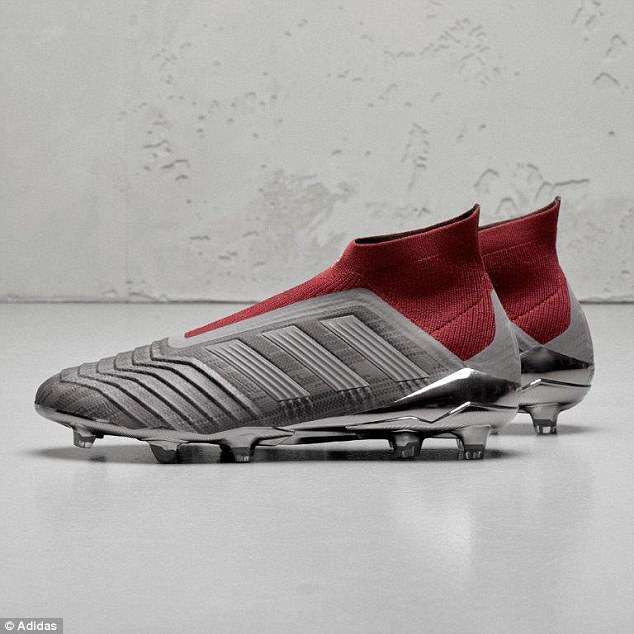 Sticking to the burgundy and grey colour scheme, adidas’ latest footwear for professionals and aspiring youngsters have continued the lace-less trend and are also available in cage and street models. Their lace-less attributes and fabric’like material will make them a stand-out sight on the pitch, and could well be seen on the Frenchman’s feet before the season is up. 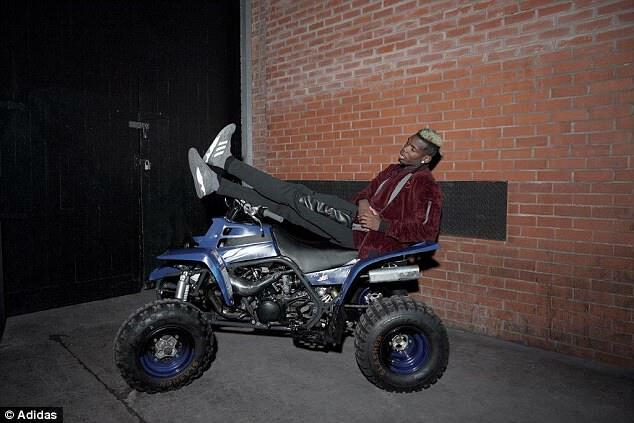 United midfielder Pogba modeled adidas’ latest release sprawled across a quad bike – a decision that must have been made to reflect the Frenchman’s wacky nature both on and off the pitch. Sticking to the nature of United’s record signing, their season has also kept up with the Frenchman’s unpredictable nature. Pogba has come under consistent criticisms at Old Trafford, but has sought to answer is critics with a late surge in form. His goal against Arsenal on Sunday was only his sixth in the Premier League this season, however, was his third in four matches for Jose Mourinho’s men.